Quilty Habit: Cascade Skirt - Finished! This month, I tried my hand at making another rayon challis skirt. I had made a simple one a few months ago using about a yard of rayon and elastic for the waistband. Ever since I was a little girl, I've loved twirling around in dresses, so I knew it was time to try another. 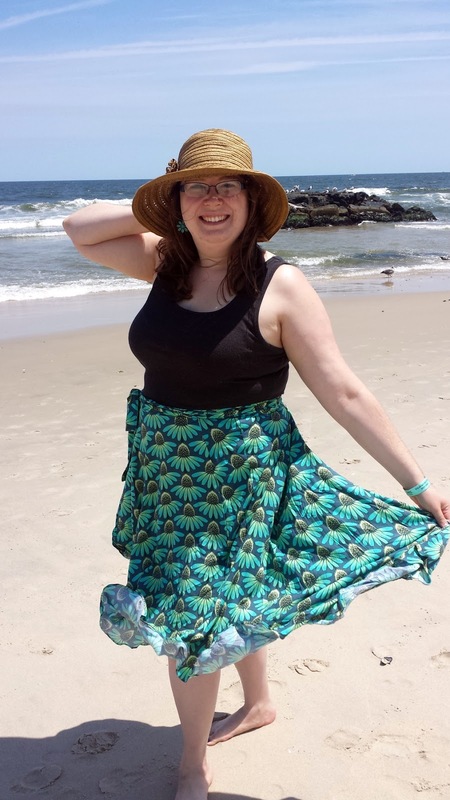 My friend Rebecca (@sewfestive) suggested the Cascade Skirt by Megan Nielsen; I had bought Anna Maria Horner's Echinacea rayon last summer with the intent of creating my own version of this long, flow-y skirt. I finally bought the pattern and if you check her Instagram, Rebecca is working on another, too! 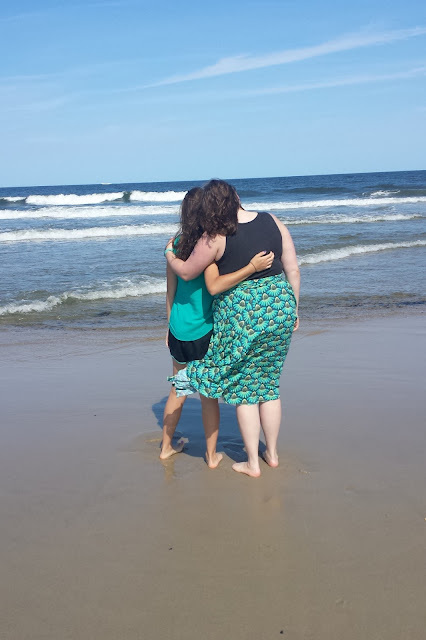 Hanging out with Renee 2 weeks ago when she came to visit me in NJ. 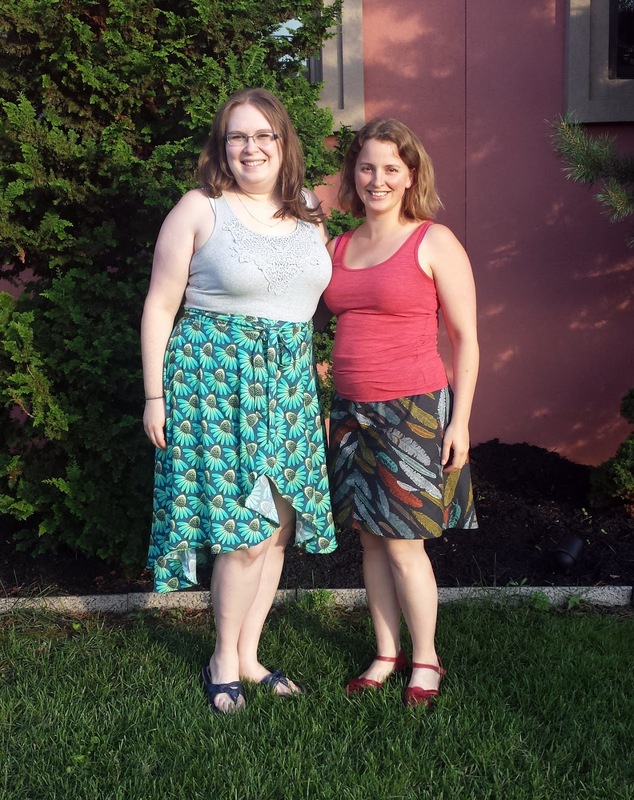 We finished our skirts together! I absolutely LOVE how it came out! The best part about it is being able to wear my favorite fabric (have I mentioned that I own the Echinacea prints in almost every color and substrate?). 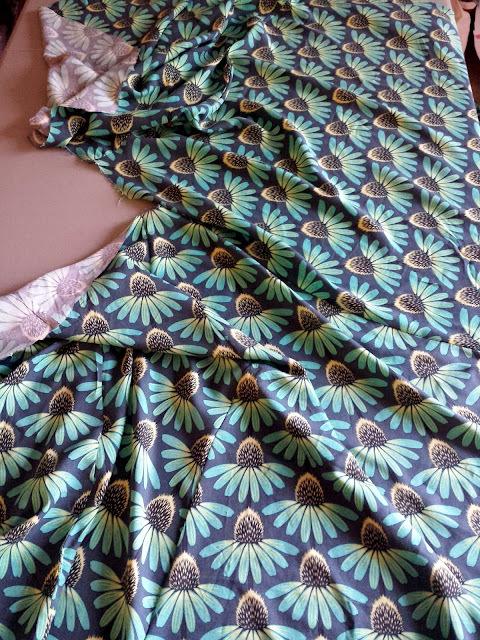 I am so happy with the scalloped look - an unplanned effect of the stretchy rayon - and how it fades from shorter in the front to longer in the back. 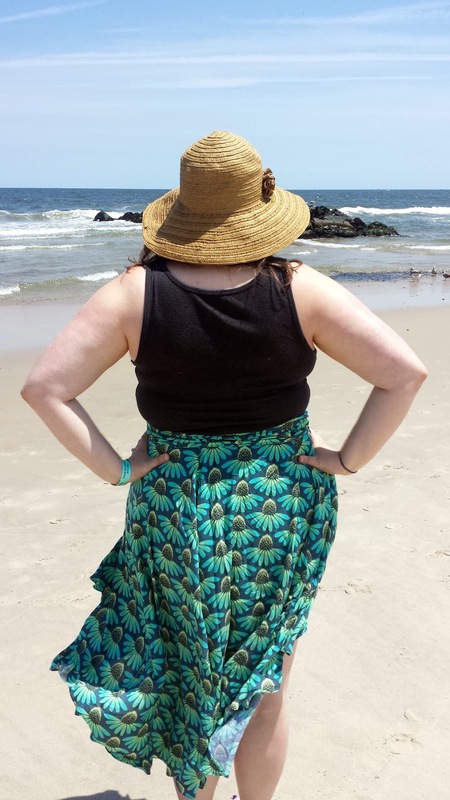 It is THE perfect wrap skirt for the beach and for summer barbecues. Look at how it flutters in the wind! The skirt didn't come out to my satisfaction without a few challenges (but if there weren't challenges, well, it wouldn't have been as much fun). 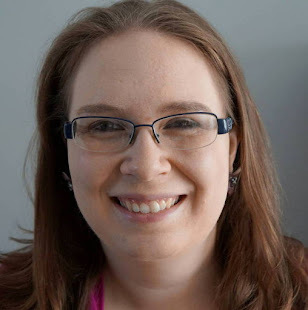 As a confident beginner garment sewist, I'm not shy about sharing how the pattern worked out for me (and I hope it helps one of you out there!). Luckily, I have sewn French seams before so they weren't an issue at all (and they lend such a professional look to the garment. 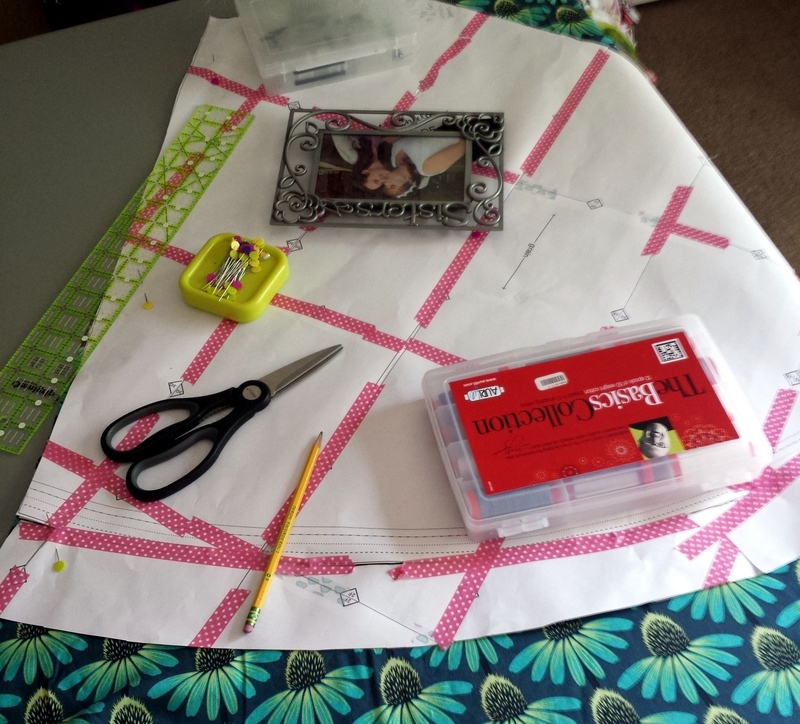 This tutorial is my favorite for French seams). The first difficulty was adjusting the skirt to fit me. I added about 6 inches to the waistline because I didn't want it to fly open easily. I need to anchor it with a button still, but it does the trick for now. I also added 3 inches in length because I'm a tall gal (5'10" and proud). Luckily it all worked out in the end, but I was using the very last of my fabric (and I had already bought an extra yard or so). I also had to work with the directionality of the Echinacea; they all needed to tilt about the same way. As a result of the size changes and directionality, I had to cut the pieces of the skirt separately and sew them together (this was completely different from the pattern). My advice to beginning garment sewists who want to adjust to their body type - make sure you buy plenty of extra fabric if you are enlarging the pattern or if it's directional! The hem was a project all its own. 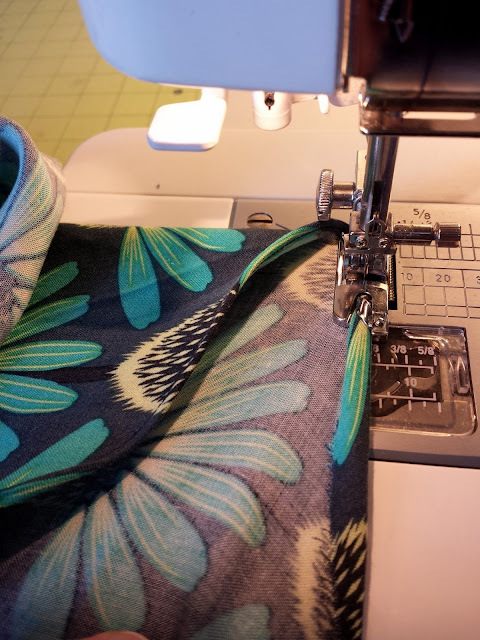 At long last, I learned how to use the rolled hem foot that came with my Janome MC 6300 - after 2 different YouTube videos and at least 4 hours of trying/ripping out stitches from practice fabric and the rayon itself. A rolled hem foot takes the fabric as you sew and rolls it over a second time to create a finished hem. I found it easiest to press my fabric an 1/8th of an inch all the way round first. Once you get into a groove of using the foot, it's like magic. I'll hopefully be able to use it again in the future with no issues. It feels glorious to conquer the rolled hem foot. Another difficulty was the sheer slippery nature of the rayon. I'd prewashed it (I only do this for garment fabric - it's just a personal preference). I don't really have any tips for making it easier to work with, except to make sure to work/cut on a large surface and use pattern weights. My friend Kristina mentioned using Sullivan's spray fabric stabilizer. Do my fellow garment sewists have any other tips for working with slippery fabric? My impromptu pattern weights. I picked up some nice heavy rocks from the beach for next time! Overall, I'm totally thrilled. Now I just want to make another (for next summer maybe. :) ). Back to quilts! P.S. Thanks to my sister Marisa for the beach photoshoot! It was an absolute blast and we made some more memories before she left for her internship and college for the first time - *sniff* :(. Your first picture is adorable. 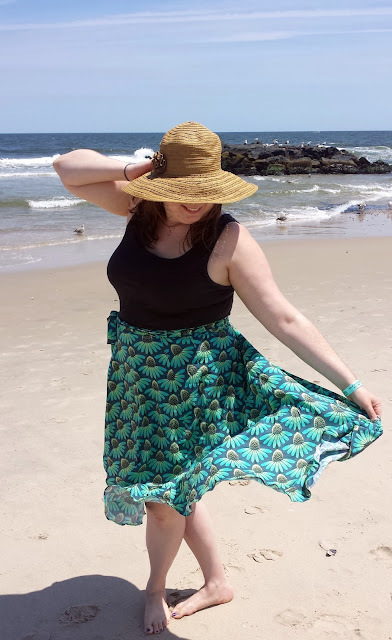 Without even knowing the details, I already was ready to tip my hat since you quilt and make garments, but I'm definitely impressed that you tackled both directional fabric and a rolled hem. Great job! I'm glad you finished with such a cute skirt to wear and plenty of summer left to wear it. The skirt looks so pretty! Love the beach photos! 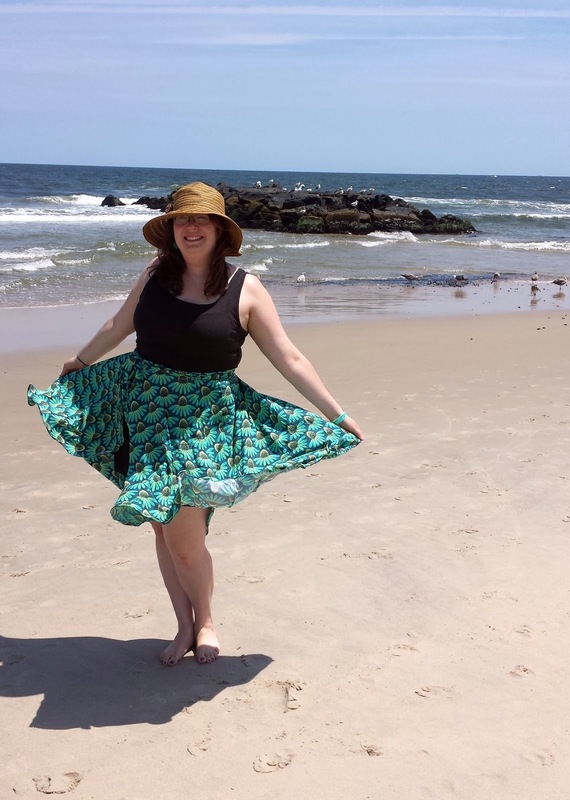 Two things (maybe three, possibly four): 1) Your skirt looks wonderful and I love your beachy attitude! 2) Marisa is heading off to college? We'll all miss her! 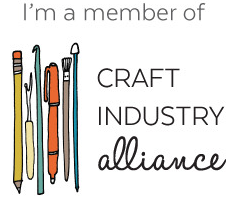 3) Thank you for the referral to the Craftsy tutorial. That is definitely the most clear explanation I have seen. I could have used it three days ago, and will use it this afternoon. 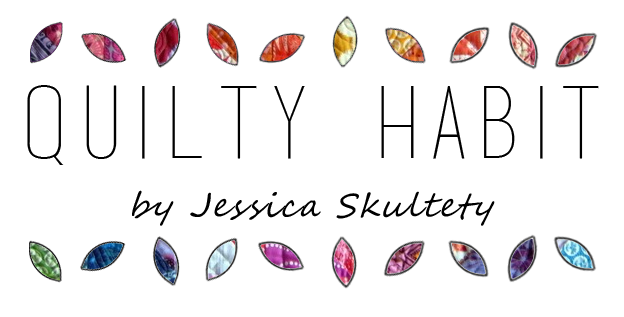 4) I love the new look of your blog. Kudos to you and to Marisa, too. It is spectacular!! I just bought some of this fabric, and NOW I know what I need to make!!!!!!!!!!! Nice photos! You look so great in the skirt. Jess, you rock in that skirt! Challis is tricky I agree...currently making a Muu Muu for my girlfriend w/it. I find pressing the piece I'm about to sew w/Best Press first does keep it from stretching a bit . Creative fabric weights indeed:) Those help too! It looks great! You did a wonderful job on it too. 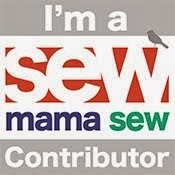 I always use a small rotary cutter to cut out the pieces when using that slinky fabric. The scissors move it around too much. Great photo shoot, you look adorable in that print! And, that pattern looks just my style so I may need to look into it. Thanks for sharing your tips. So cute...looks and fits great! It's been fun to hear about your triumphs on the garment-making front. Your latest feat is a beauty, and you have plenty of summer left to get good use out of it! Super cute! I am attempting to psych myself to start making clothing. I like the idea of the spray stabilizer for the slippery fabrics. I'll have to look into that. :) And isn't that foot fun???!!!! I enjoy learning how to use my attachments so much. Jess, Your skirt is gorgeous! There is nothing like the prospect of a trip to the beach to make you want to sew something cool and comfortable. 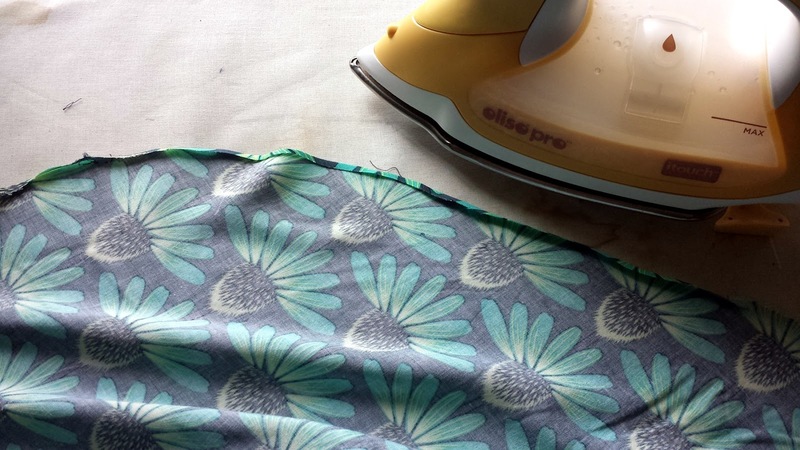 The flower print is so pretty, and you are a star using the hemming foot! Oh it's gorgeous! All floaty and summery and you're quite right, that pattern is wonderful, I can see the need for all the colours!! Selvage Along: Link Up Your Selvages!